Homilies and Occasional Thoughts: The Holy Trinity: No Mystery About It! There was once a pastor who liked to preach about money. And, truth be told, he wasn’t all that good when he talked about theology. Still, when Trinity Sunday came around, he knew he’d have to say something more spiritual than usual. He began with the notion of a mystery. That joke, of course, is founded on a common misunderstanding on what we mean by the word mystery when we’re talking about our faith. We all know the ordinary definition—a mystery is something that is difficult or impossible to understand or explain. We talk about “the mysteries of outer space,” for instance. And some of us like to read mysteries, novels that deal with a puzzling crime, especially a murder. Whoa. What’s the point of talking about something that’s impossible to understand or explain? Maybe that priest had it right after all, and I should preach about the collection. Of course you know where I am going with this… Christians use the word mystery in a very special way. In our context, a mystery is a truth that God has revealed to us even though it is beyond human understanding. Far from being ‘secrets,’ Christian mysteries are things God wants us to know. St. Paul gives us a perfect example of this meaning in the Letter to the Colossians. He says he has been called “to declare the mystery of Christ” (4:3) and to make it “fully known” (1:25). This mystery, Paul writes, “has been hidden throughout the ages and generations” but has now been revealed (1:26). In short, we are celebrating today a great mystery but not something mysterious. The Catechism explains it well: “The Trinity is a mystery of faith in the strict sense, one of the ‘mysteries that are hidden in God, which can never be known unless they are revealed by God” (CCC 237). 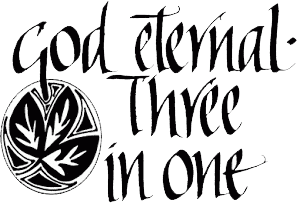 Although God gave hints of this truth in the work of creation and in the Old Testament, his inmost Being as Holy Trinity is something we could not have understood before the coming of Jesus and the sending of the Holy Spirit. God alone made this mystery known to us by revealing himself as Father, Son and Holy Spirit (CCC 261). With this possible confusion out of the way, I want to go straight to the question that a priest friend of mine calls the heart of any good homily: So what? What difference does it make that God is Father, Son, and Holy Spirit? What difference does it make that we believe in one God in three persons? I’m going to answer those questions by asking you one. Do you want to know God? I mean really know him, the way you want to know someone you love. Because if you want to know God, you have to know him as he is. Not as you imagine him to be, or want him to be, but as he is. And God has chosen to let you know him as he is—as Father, Son, and Spirit. He didn’t need to do this. After all, he had many centuries of relationship with the Chosen People during which he was known only as the one God. But in the fullness of time God chose to let us know his inner being—and surely there was a reason for that. “It is therefore the source of all the other mysteries of faith,” and sheds light on them. The Catechism even makes the bold claim that the whole history of salvation is “the history of the way and the means by which the one true God, Father, Son and Holy Spirit, reveals himself to men ‘and reconciles and unites with himself those who turn away from sin’”(CCC 234). That’s a pretty big “so what?”! The consequences of this are way too big for one homily. But let’s look briefly at three of them. You can find them spelled out more fully in Youcat, the beautiful Youth Catechism of the Catholic Church (35-39). Knowing God as Father is knowing God as the Creator who cares lovingly for his children. In the words of Pope Emeritus Benedict, this “sheds light on our deepest human identity: where we come from, who we are, and how great is our dignity.” Jesus knew from where he came, Pope Benedict says, and from where all of us have come: from the love of his Father and our Father. Knowing God as Son is knowing God’s plan in its fullness. Jesus tells Pilate “For this I was born, and for this I came into the world, to testify to the truth” (Jn 18:37). And he tells the skeptics “If God were your Father, you would love me, for I came from God and now I am here. I did not come on my own, but he sent me” (Jn 8:42). In fact, knowing God as Son is knowing God. The Son makes the Father known. 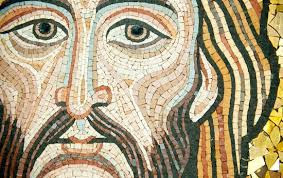 Jesus “is the image of the invisible God,” as St. Paul tells us (Col 1:17). Do you want to know God the Father? Jesus says clearly to Philip “Whoever has seen me has seen the Father” (Jn 14:9). And what about God the Holy Spirit? Youcat says something remarkable: “When we discover the reality of God in us, we are dealing with the working of the Holy Spirit” (38). There are also consequences that come from knowing God as a Trinity of Persons. The mystery we celebrate today is a mystery of communion—the communion in love of Father, Son and Spirit. God is one but God is not solitary. So Christians cannot be solitary: we too must live and love in communion: in the first place with God, but also in communion with one another and in communion with the Church. If even these points aren’t enough of a “so what” for you this Trinity Sunday, consider what Father James Mallon says in his challenging book Divine Renovation: Bringing your parish from maintenance to mission about the importance of this truth for our mission as Christians. He writes that “evangelization is always Trinitarian—but not in an abstract, theoretical manner. So marvelous is this mystery that I really have the opposite problem to the tongue-tied pastor who preferred to preach on money instead. But let me close with something of a commercial nonetheless. On Wednesday. June 10, I’ll be the first speaker in a series of talks at Holy Rosary Cathedral that are intended to lead people to a deeper friendship with the Holy Spirit—whom we sometimes neglect. The talks are called “The Life in the Spirit Seminar,” and Archbishop Miller will also be a speaker in the series. There’s information in this Sunday's bulletin. It might be your way of responding concretely to God’s gracious revelation of himself as Father, Son and Holy Spirit that we celebrate today.